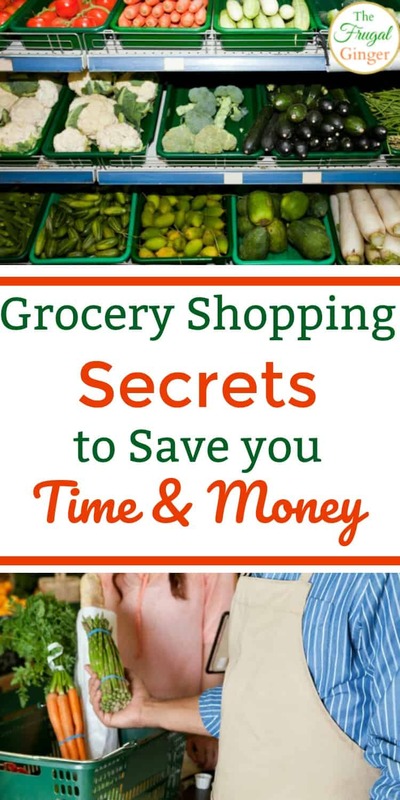 I wanted to share some of those grocery shopping tips and tricks with you to help make your life easier. I know how difficult it can be to go shopping with small kids, you want to get in and out as fast as possible before someone has a meltdown! For days where I just can’t get out of the house, I love using Amazon Prime to quickly order what I need. This is an option to keep those grocery trips to a minimum. Plus, if you aren’t into couponing, you can’t beat the Prime Pantry prices. No one wants to spend hours at the grocery store, especially when you have kids with you! My favorite tip for getting in and out faster, is to park near the shopping cart returns. You can easily put the kids in the cart as soon as they are out of the car and can quickly return the cart once everything is loaded into the car. Park near the shopping carts instead of a spot closer to the entrance. The best time to shop is on a Monday or Tuesday. These are the least crowded days so you won’t have to wait in long lines. Go in the mornings if you can or once you get off work. The weekends are of course the busiest times to go. Instead of waiting in a long line to get your deli meats and cheeses, look through the selection of pre-cut items in front of the deli counter. It is most likely the same brands that you would get from the counter. Just check the expiration dates to see how fresh it is. Choose the quickest checkout lane by looking at a few factors. Does the cashier have to bag everything or is there a bagger to help? People with carts full of fresh produce take longer since they can’t be scanned. Is a customer really chatty? They may take longer to pay since they are talking to the cashier. Is the cashier in a good mood or just looks like they don’t want to be there? This affects how much effort they will put into getting you checked out quickly. Make your grocery list and stick to it! People spend so much money on spontaneous purchases. Don’t go down any aisles where you aren’t planning on buying something. I like planning my meals for the week around items that are on sale. Check out the store’s website for all of the sale items and to see the weekly ad. If you have a hard time meal planning, I personally like using $5 meal plan. 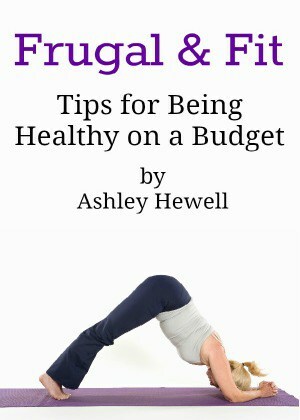 They offer a wide variety of meal ideas for different diets and each meal will end up costing you around $3 or less per serving! The best way to save the most money is to coupon. I know that a lot of people don’t think they have the time to do it but it only takes me 30 minutes a week to get my list made and all of my coupons together. I did a full post on how to coupon when you are short on time to show you just how easy it is and how much you can save each and every week without much effort. I mentioned above that using coupons paired with sale prices is the best way to save on your weekly grocery trip. Another great way to save is to use money saving apps! These are very easy to use and a great way to save on groceries without clipping coupons. I saved over $500 last year by using a couple of these apps on top of what I saved using coupons in the store. Knowing when to stock up on certain items can save you a significant amount of money. I like using a price point printable so I know the lowest prices of the products I buy. When I can get them at the lowest price, I stock up! I created a price point printable that you can download when you sign up for my mailing list. Just click the picture above to get your copy. When shopping in the aisle, look at the items on the top and bottom shelf. These are usually the lower priced items. Stores try to put the higher priced items at eye level. Make sure to always check the price per ounce that is listed on the price tag on the shelf. Buying a larger box may not be the better deal. We have all seen the sell by dates on each item in the store. It can say sell by, best by, use by, or enjoy by. This is just used to tell you when an item is at it’s freshest. Just because the date may have past, doesn’t mean that it is bad or spoiled. You can score some great deals on meat and produce if you buy it a couple of days before the sell by date. It will still be good to use that day or even a couple of days later. You can always freeze it to be used later as well. If you find a box of cereal or a bag of potato chips that are past the “expiration date” it is still probably good. Try it before you throw it away and waste money. 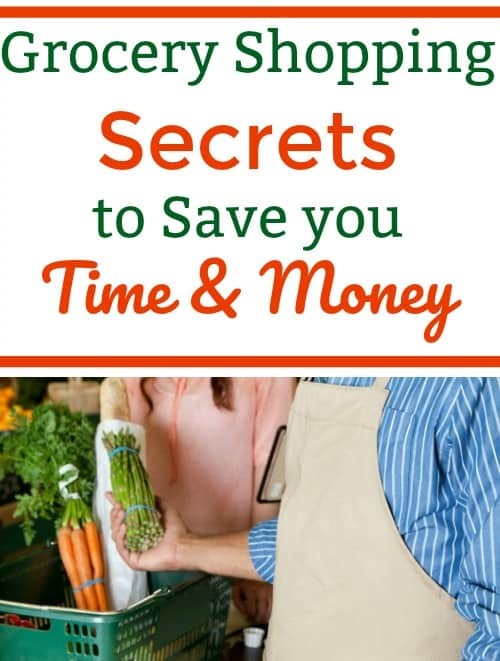 By using a few of these grocery shopping secrets you should be able to save yourself some precious time and your hard earned money. Let us know of any shopping tips that you use at your favorite grocery stores. These are great tips!! I definitely save money when I get in and out of the store fast. And having a list in front of me always cuts down on those impulse purchases that are trying to sneak into my cart!